Augustus Montague Summers was born on April 10, 1880, in Bristol, England. Son of a banker and justice of the peace, Summers was afforded a good education at Clifton College in Bristol, Trinity College at Oxford, and Lichfield Theological College. Although he was ordained a deacon and worked as a curate, Summers did not become a priest except perhaps in his own mind: he converted to Roman Catholicism in 1909 and thereafter called himself "Reverend Alphonsus Joseph-Mary Augustus Montague Summers." 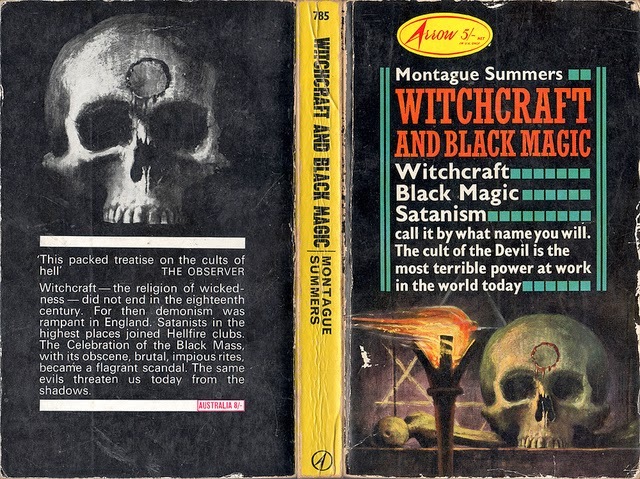 Summers also produced in 1928 the first English translation of Malleus Maleficarum, a fifteenth-century how-to book for witch hunters by Heinrich Kramer and James Sprenger. Fans of H.P. Lovecraft will recognize the title of that book as among the half-real, half-fictional body of grimoires Lovecraft inserted into his stories. Like Lovecraft, Summers considered himself an anachronism--"a refugee from the eighteenth century." (1) In his researches, he frequented the reading room of the British Museum. Knowing that makes me wonder if he ever met Charles Fort. If he did, and if he made his request to "tell me strange things," then a very long conversation must have ensued. 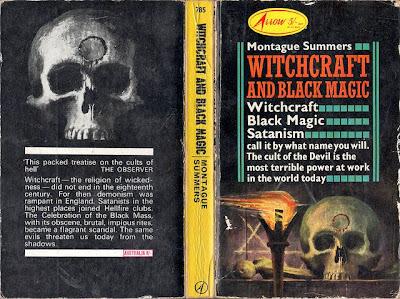 Montague Summers' other books include collections of supernatural stories and biographies of Jane Austen, Ann Radcliffe, and Saint Catherine of Sienna, whose mummified head can be viewed at the Basilica of San Domenico in Siena, Italy, a strange thing in itself. He contributed one article, "The Phantom Werewolf," to Weird Tales in the magazine's June/July 1939 issue. Summers died on August 10, 1948, at his home in Richmond, Surrey, England. (1) From the website Montague Summers' Guide to Vampires. 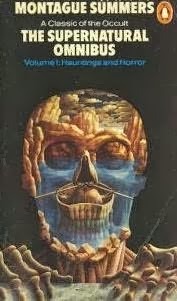 As a Summers 'nut' of long standing (I was involved in erecting a stone on his then unmsrked grave in the 1980s) I was unaware of the Weird Tales piece until now. Must look for a copy!